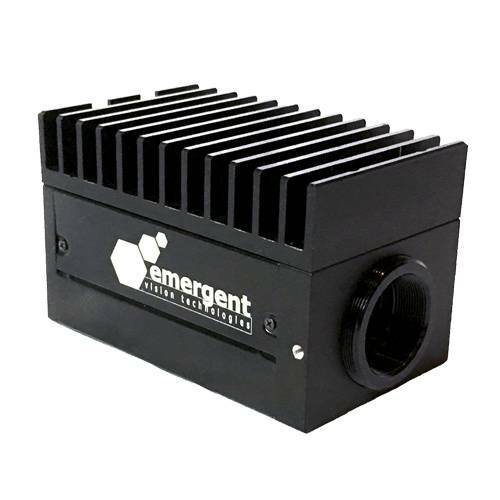 Emergent Vision Technologies’ HR high-speed camera series comes with a 10-Gigabit-Ethernet connection (10-GigE). They are equipped with CMOSIS or SONY global-shutter sensors and are available with resolutions ranging from 2MP to 20MP. The HR series features the SFP+ interface, over which cable lengths up to 10km can be realized. The cameras are GigE Vision compliant.